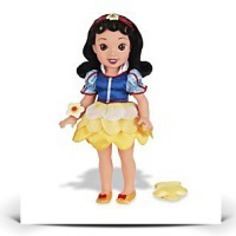 Snow White is dressed in her signature costume. 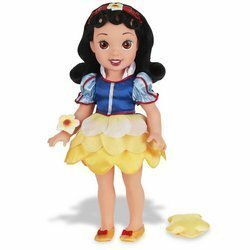 Beautiful 15"Snow White Doll, dressed in her signature costume. Disney Little Princess is the first Disney Princess doll that depicts the Princesses as toddlers. The Disney Princesses are young, sweet girls who loved to complete the items that all little girls like to perform.